Dating for disabled is an online matchmaking service for people with disabilities, and as such, you should take it into consideration when choosing a venue for your date (if your date uses a wheelchair that is). The first thing that's important to clear up is: what does wheelchair accessible mean? And how do I know if the coffee-shop/restaurant really is accessible. Because it might be a very embarrassing start to the night to show up for the date, only to discover to your horror, that the place isn't really accessible. 1. Does the place have a ramp as well as stairs? Make sure the waiter hasn't forgotten that one stair at the entrance. If the restaurant is ground level you should be OK.
2. Do they have a bathroom that is suitable. 3. Can you comfortably get from the door to the table (are the tables pushed together so tightly there is no room to get by them). If you are booking a table, be sure to not only ask if the place is wheelchair accessible, but that your table is as well. 4. If your date is showing up by car, make sure that the parking lot has allocated spaces. 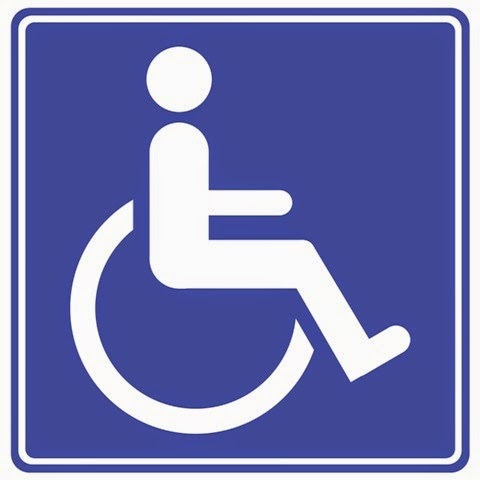 Many local organizations for people with disabilities will list on their website the local establishments that are accessible. But just in case, call ahead to ask!